Earlier today, residents of Ozubulu were hit by a tragic attack that left many worshippers dead, after gunmen stormed St. Philip’s Catholic Church, Amakwa Ozubulu in Anambra state.. However, social media report claim that the attack was a spillover of a drug related feud, between two Ozubulu brothers who live in South Africa. 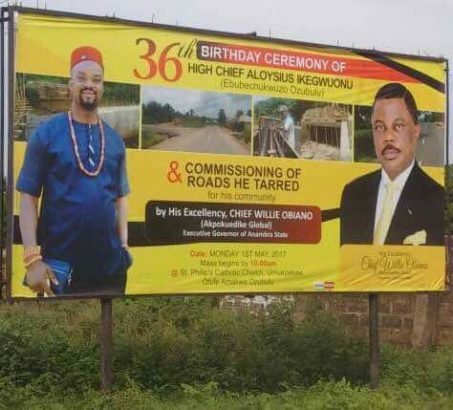 However, Governor Obiano’s Senior Special Assistant, on Social Media, Ifeanyi, revealed that the main matter was said to be between Chief Aloy Ikegwuonu a.k.a Bishop (rumored to be a drug baron), and another Ozubulu man popularly known as Obrocho. It was gathered that the gunmen had traced him to his house, but were told he had gone to church where he was meant to hold a thanksgiving service. According to reports, the battle had claimed some lives already over there in South Africa.